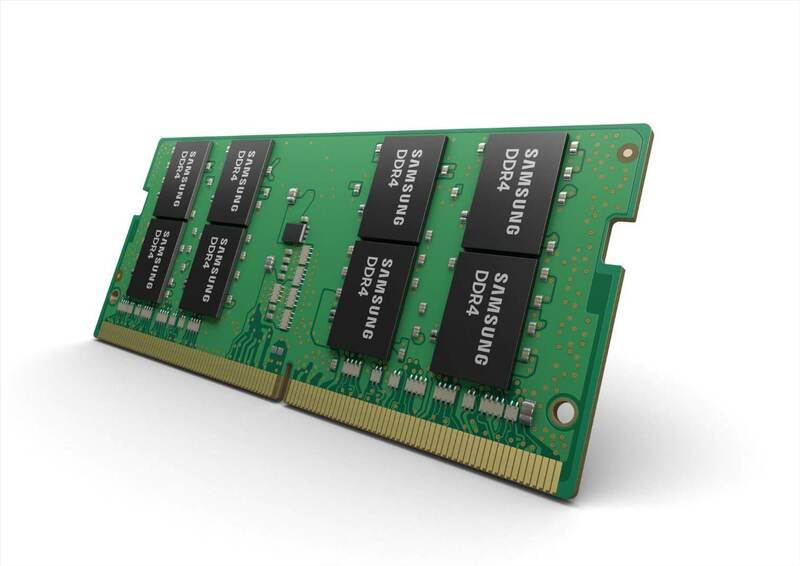 Something to look forward to: Samsung has announced it has started mass production of the world’s first 32GB DDR4 memory designed for gaming laptops. Designed in the SoDIMM form factor and based on the 10nm-class process, the new modules bring a slew of benefits to portable gaming machines, including higher capacities, faster speeds, and more energy efficiency. The modules double the capacity of Samsung’s 16GB SoDIMMs based on 20nm-class 8-gigabit DDR4 that were introduced back in 2014, making them 11 percent faster and 39 percent more energy efficient. Samsung says the 32GB SoDIMMs are made up of sixteen of its newest 16Gb DRAM chips to create a double-sided RAM module with eight chips mounted on the front and back, allowing gaming laptops to reach speeds of 2,666Mbps—an increase over the previous top SoDIMM speed of 2,400Mbps. Power consumption—often one of the biggest issues when it comes to gaming noteboks—is also improved. Samsung claims that a 64GB laptop containing two of its 32GB modules consumes less than 4.6 watts in active mode and less than 1.4W when idle, which is a reduction in power usage compared to gaming-focused laptops equipped with 16GB modules. Samsung didn’t reveal any prices for its new SoDIMMs. It said the company is aggressively expanding its 10nm-class DRAM lineup, which includes 16Gb LPDDR4, 16Gb GDDR5, and 16Gb DDR4 for the mobile, graphics, PC, and server markets.